The Help received the most SAG Award nominations. I don't know why anyone other than Viola Davis and Octavia Spencer were nominated. As usual there were surprise nominees and a few snubs. None of these snubs were too egregious (except for Parks and Recreation getting zero nominations on the television side of things, but I digress). The Help continues to (unexpectedly?) receive accolades, receiving four SAG nominations. It’s not that I didn’t enjoy The Help – Viola Davis and Octavia Spencer are fantastic – I just don’t think it deserves all the praise it has received. 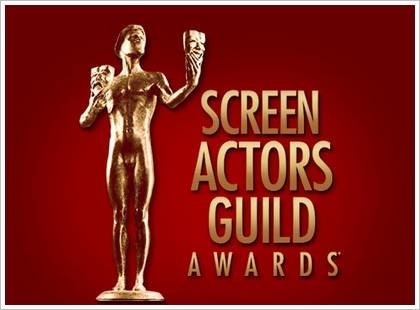 Last night it seemed that everyone was taking in the 17th annual SAG Awards. I was, however, was not. It is probably for the best since The King’s Speech win for best ensemble would have made me throw something. Instead I followed everyone’s updates on Twitter. I hope so RT @EriktheMovieman: So does Betty White winning the #SAG officially end the run of overexposure? I wonder how many of those ppl have actually watched MARTY. Or had heard of it before reading the SAG Awards program earlier today. the worst thing is I even like TKS. it's just not the best. and its ensemble was far from the best of the year. why awards season, why? What did you think of last night’s SAG Awards and the winners? Follow the link to my first live blog of the 2010 awards season. I’d say except for Best Picture , the acting prizes are essentially set in stone. That 10 Best Picture nominees is really going to throw this year’s Academy Awards for a loop. Oh heavens. I have been super busy writing a final paper on Head-On and The Edge of Heaven, as well as theoretically analyzing my own film (Have you ever tried that? It’s hard. Who does my professor think I am? Stan Brakhage? But I digress) that I nearly forgot to post my thoughts on the Screen Actors Guild nominees.